When we hear the word “wild” we often think of pristine, untouched landscapes. Places where we can be alone, nothing but the sounds and smells of nature surrounding us. But what we forget, is that even in urban metropolises, or right outside of them, there is wild to be found. All we need is a desire to go after it. That’s the idea behind Collective Plant, started by Zsófia Szonja Illés. Originally an editor/photojournalist, nowadays an artist, Zsófia is mostly involved in food design projects, photography, and installation (like with this cool project called Hello Wood), and of course, running the collective. Collective Plant was originally launched as a one-month project for a photo exhibition focused on urban issues. The idea was to document a monthlong survival experiment, exploring what food could be foraged in the city, and documenting the experience. “I was surprised by the results, and a lot of people contacted me after the exhibition, and asked if I could show them the places and edible plants to forage for,” says Zsófia. Maybe the reaction to Zsófia’s projects and efforts isn’t so surprising. In our ever more industrialized world, most of us are losing our connection to nature. But it’s a vital connection that we need, and our bodies know it. Think how good it feels when you travel to the countryside and breath in fresh air. Or when you put your bare feet in the grass. Or when you bite into an apple picked from a tree branch. City life offers a multitude of wonderful amenities, but there is no denying that our souls crave the solace that nature offers. 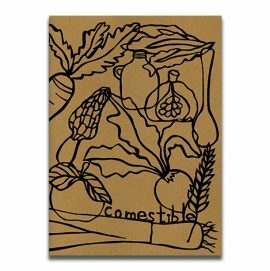 Collective Plant does a variety of collaborations with artists and creatives, including naturally dyed bags, hand-drawn food labels and the beautifully illustrated fanzines and wild food calendars, that are both an ode to the creativity of the artist, but also to what nature can provide us with. 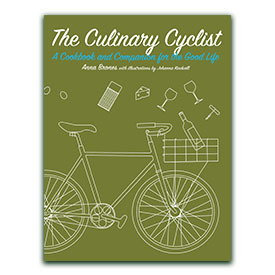 Speaking of which, we’re giving one away! You’ll find details at the bottom of this post. Because I am so inspired by what Collective Plant does – and I think there should be a comparable collective in all cities around the world! – I asked Zsófia to share more about the collective and herself. 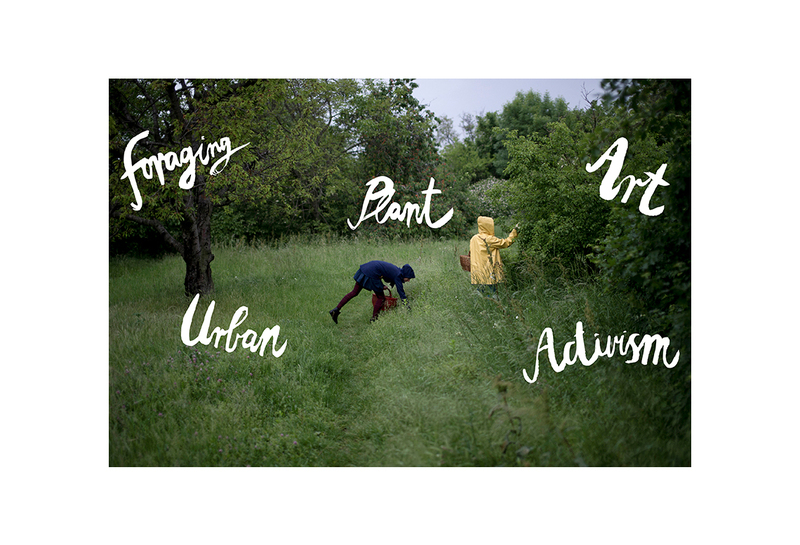 A big part of Collective Plant is to connect people in urban environments with the natural world. For you, why is that important? Zsófia Szonja Illés: First of all it comes from a personal intention, personal interest. I have always lived in the capital, and community/food and connection with nature was always important for me. We are very lucky here in Budapest, because the Buda side of the city (where I live) is surrounded by hills and forests. I live in Buda city center, but I can get out to the forest in 15 minutes. I bike everywhere (even now in December), I grow my own herbs and spices. Hungarians in general, unfortunately, are not too optimistic or entrepreneurial, many times they are so afraid of changes and to start their own businesses (it is quite bureaucratic here), that they do not even try. 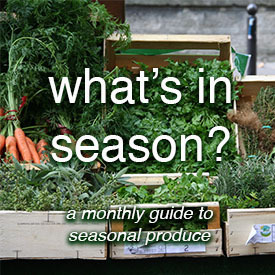 I wanted to show that we have urban farming/foraging possibilities even in big cities, even trying on a small scale (CP is definitely a small scale thing) and we have a lot to be grateful for – this city is amazing, architecturally, culturally, and in terms of its location, and the surrounding nature. The idea all came from the high unemployment – wanted to give a positive, optimistic answer to that – showing that we have possibilities for being (kind of) self-sustainable even in a big city. Focusing on the possibilities rather than the lack of perspectives all the time. I also wanted to create a community of similar people who are also interested in food/art/nature/hiking – to gather people together with similar interests. I was missing this kind of community very much. The biggest benefit of organizing CP was actually that I could meet and make friends with a lot of amazing people – and started to collaborate on different projects with many of them, like cookbooks, fanzines, design products, installations, food and architecture/food-design projects, etc. The foraging trips are free for this reason – it is mainly about building a community, about meeting up with similar people, and about inspiring people to go to nature and forage, I also learned basically everything by myself. You’re based in Budapest. Tell us a little bit about the local food culture there. 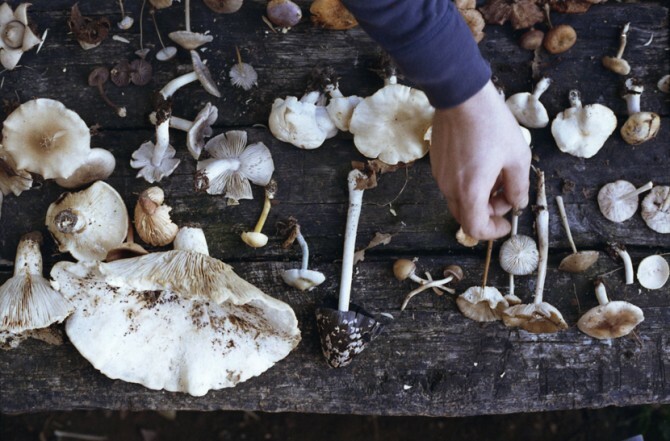 What’s good to forage near where you are? Zsófia: I am from Budapest, the capital of Hungary (has been selected as the 2nd best cities of the world this year). Hungarian traditional food is basically about lard, pork, potatoes and paprika – there aren’t too many vegetable dishes (but I am kind of a vegetarian since I was a child). The communist times had a very bad impact on our cusine. It was all about producing quantity over quality. Small farms were nationalized, and integrated into cooperative factory farms; one state winery, one style of supermarket cheese, etc. So the generation of my grandparents and parents have lost the tradition and knowledge of farming, and artisan food making. I was a kid during the communist era, so I remember the horrible school canteen food – which is still similar, unfortunately. We have gone through a gastronomical/culinary revolution in the past 10 years however, when we started to rediscover all these traditional artisan methods, like wine and cheese making. It is slowly getting better, and nowadays you can definitely find everything in Budapest: farmers and organic local markets, restaurants with only local food, new wave coffee roasters and coffee shops, craft beer breweries, etc. Budapest is a very lucky foodie location for this reason. You basically have everything here, and eating out is very cheap for Western European prices. Our agriculture is good, most of the products are local, and most of the people would do their shopping at the local markets. 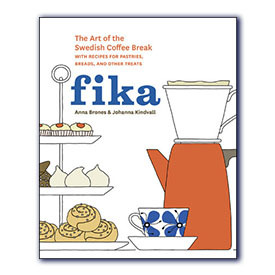 It is very common to meet up with friends at the Saturday market for a morning coffee and breakfast before or after doing the weekend shopping. It is also pretty much part of our food culture that we prepare home cooked meals. I have been cooking since I was 18 or 19 years old – especially since it wasn’t so easy at that time here to find vegetarian food here. We have cold winters, but still there are some plants you can forage for: such as berries, rosehips, sloe, hawthorn berries, cloud ear fungus, etc. We have a good climate for mushroom foraging – especially during spring and autumn. 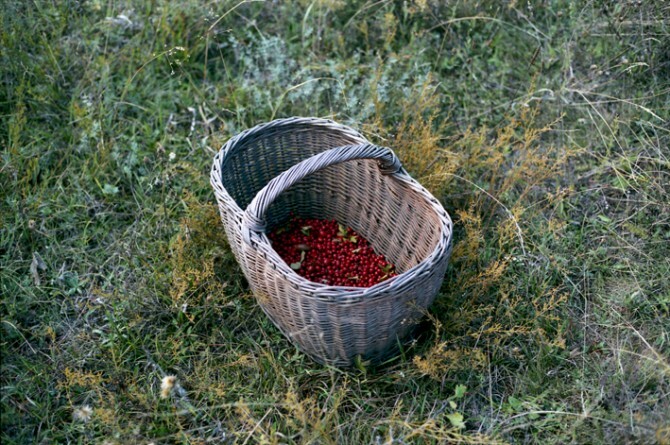 Folk herbalism was also something forgotten during communist times, but it used to be part of our culture. 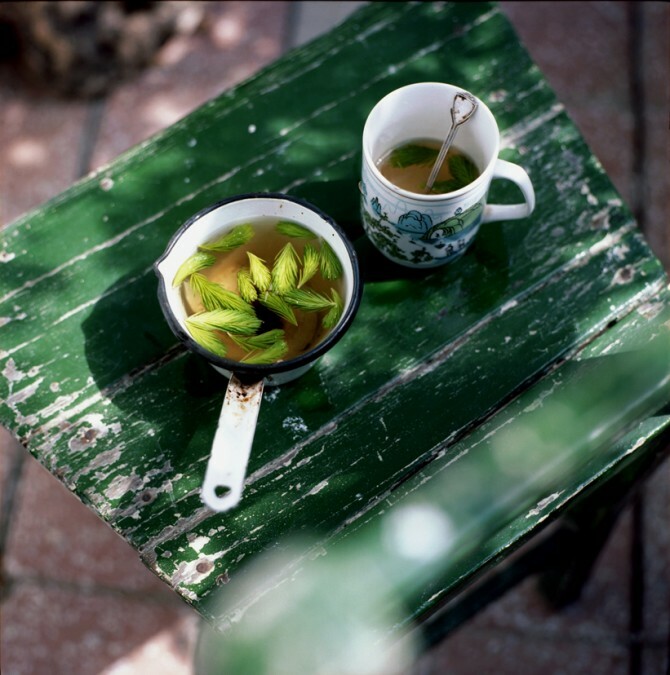 My grandma still knew a lot about herbs – so I used to learn the basics of herbalism from her as a teenager. 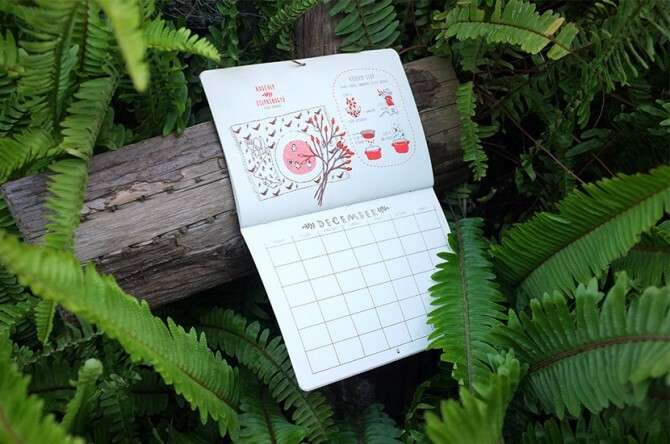 Whenever I am hiking, I would look for seasonal herbs to forage – most of the herb teas I prepare for myself were foraged here. Why do you love to forage? 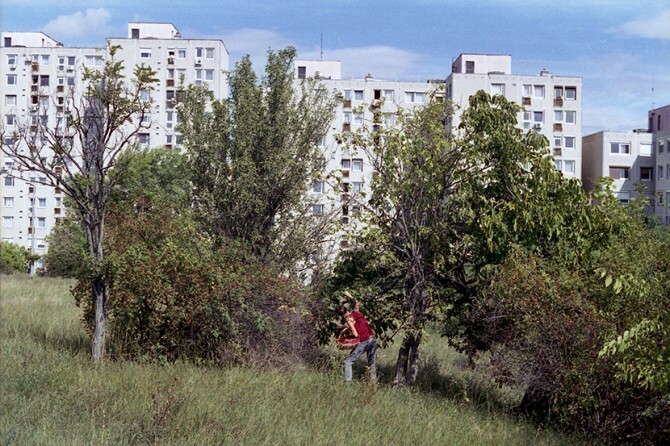 Zsófia: It is a natural instinct – I loved to do it as a child – a kind of treasure hunting. Any favorite things to forage? If so, what do you like to cook with it? My other favorite (and big surprise) this year was green elderberries. They are non-edible when green, but with fermentation they turn edible. 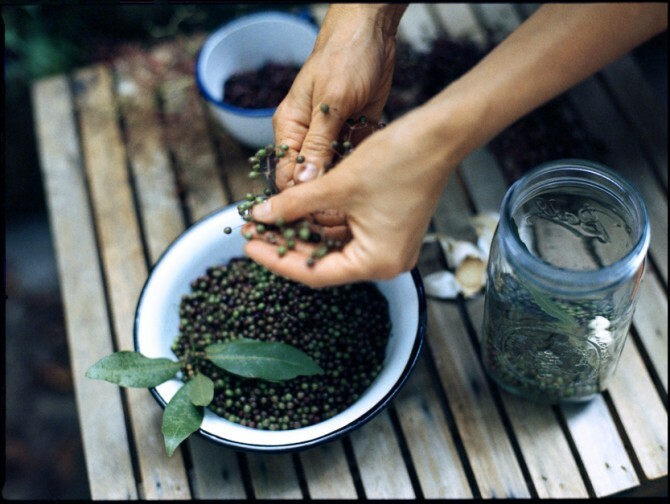 I prepared green elderberry capers (fermented) – they are amazing, for example in a lentil salad. 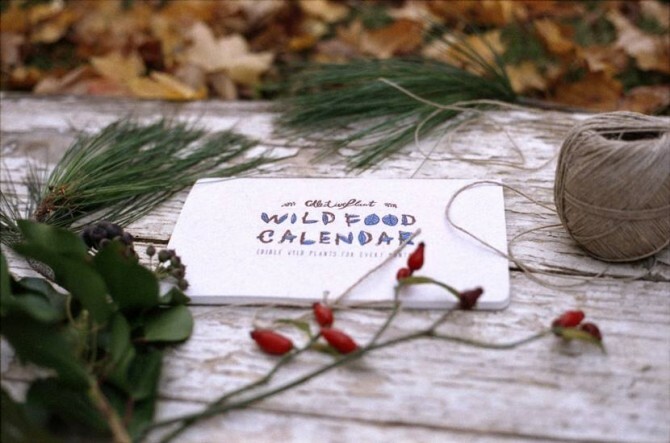 If you are tempted by any of those recipes, they are included in Collective Plant’s 2016 Wild Food Calendar, which is currently available for order and will be shipped after Christmas. 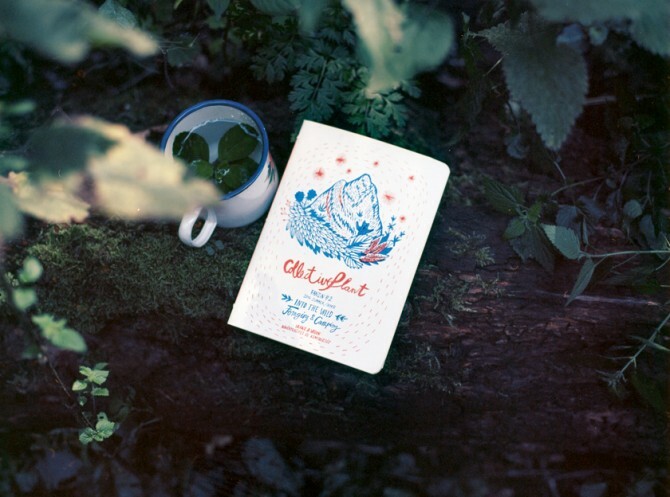 We are giving away a copy of Collective Plant’s Foraging and Camping Fanzine, perfect for the outdoor lover. If you want to win, tell us about your favorite thing to forage, in the comment section below. It can be as simple as a berry picked from a bush in the summer, or a forest hunt for chanterelles. Please comment by December 24, 2015 to be entered. The fanzine will shipped to the winner at the beginning of 2016.